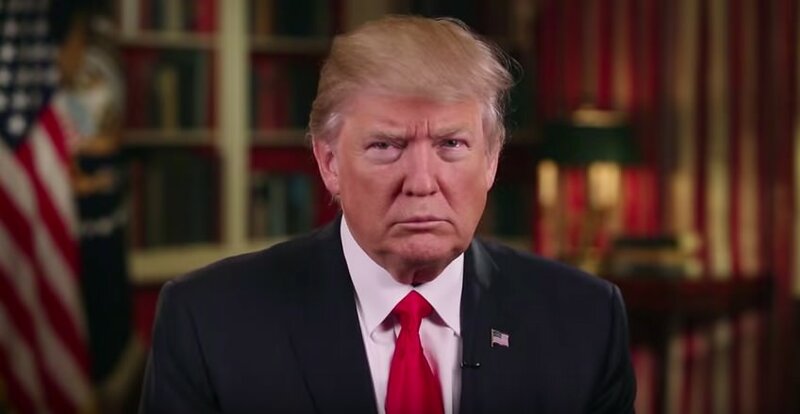 President Donald Trump just delivered his second “Weekly Address” to the American people and he covered a lot of ground during his short message. He praised our military, lauded his recent Supreme Court nominee Neil Gorsuch, crowed about the brighter jobs picture and how are economy is growing faster now than at any point under President Obama, and he spoke eloquently about the beauty of our African-American heritage. This week I nominated Neil Gorsuch for the United States Supreme Court. Judge Gorsuch is one of the most qualified people ever to be nominated for this post. He is a graduate of Columbia, Harvard and Oxford. He is a man of principle. He has an impeccable resume. He is widely respected by everyone. And, Judge Gorsuch’s proven track record upholding the Constitution makes him the ideal person to fill the vacancy left by the late, great Antonin Scalia, a truly fabulous justice. This week we also took significant action to roll back the massive regulation that is devastating our economy and crippling American companies and jobs. That’s why I have issued a new executive order to create a permanent structure of regulatory reduction. This order requires that for every 1 new regulation, 2 old regulations must-and I mean must-be eliminated. It’s out of control. Also this week, on the first day of Black History Month, I was pleased to host African American leaders at the White House. We are determined to deliver more opportunity, jobs and safety for the African-American citizens of our country. America can really never, ever rest until children of every color are fully included in the American Dream-so important. I think, probably, one of my most and maybe my most important goal. It is our mutual duty and obligation to make sure this happens. At Dover Air Force Base on Wednesday I joined the family of Chief Special Warfare Operator William “Ryan” Owens as our fallen hero was returned home. A great man. Chief Owens gave his life for his country and for our people. Our debt to him and his family, a beautiful family, is eternal. God has truly blessed this nation to have given us such a brave and selfless patriot as Ryan. We will never forget him. We will never ever forget those who serve. Believe me. And I will never forget that my responsibility is to keep you-the American people-safe and free. That’s why last week I signed an executive order to help keep terrorists out of our country. The executive order establishes a process to develop new vetting and mechanisms to ensure those coming into America love and support our people. That they have good intentions. The Left wants More Chaos and Anarchy in our StreetsHow the Left Plans to Use The Super Bowl to Fight Trump and Freedom!